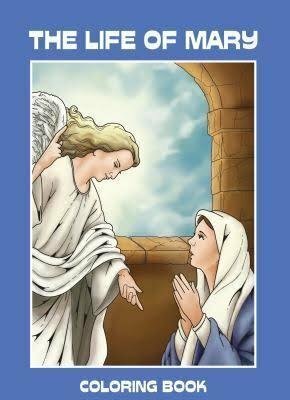 A coloring book of 32 pages of full page pictures of the life of the Blessed Virgin Mary, with a small explanation beneath each picture. The pictures help to give an idea of the daily life of the Mother of Jesus in Nazareth. 8.5" x 11". This catalog item is for five copies -- save $1.50 when you buy in volume!